There are many different card packs in use by Tarot readers –the reader you choose to have a reading with will have their own preferred pack and so therefore reading methods can vary from reader to reader. 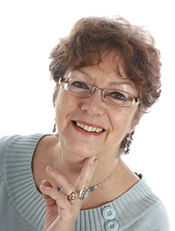 Basically there are two kinds of reading and you may well get both during a reading appointment –the open reading in which the reader lays out cards in a format that allows them to interpret the cards that you have shuffled (which is you putting your vibrational energy signature on them). The reading you get from this generally covers personal & business & work, health, ambition etc and the reader interprets the cards to advise on events, actions etc. the other type of reading is in answer to questions you ask –generally speaking you don’t get yes or no answers, you get guidance to solve or progress the nature of your question. 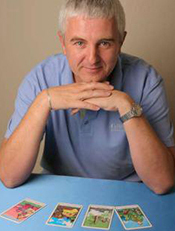 Tim is a local full-time professional Tarot Reader based in Emsworth. He is a Moderator for TABI (Tarot Association of the British Isles) and a Tarot Professionals ACE (Accredited & Certified Excellence). He has developed psychically over many years including a number of mediumistic development courses with the JCPF.